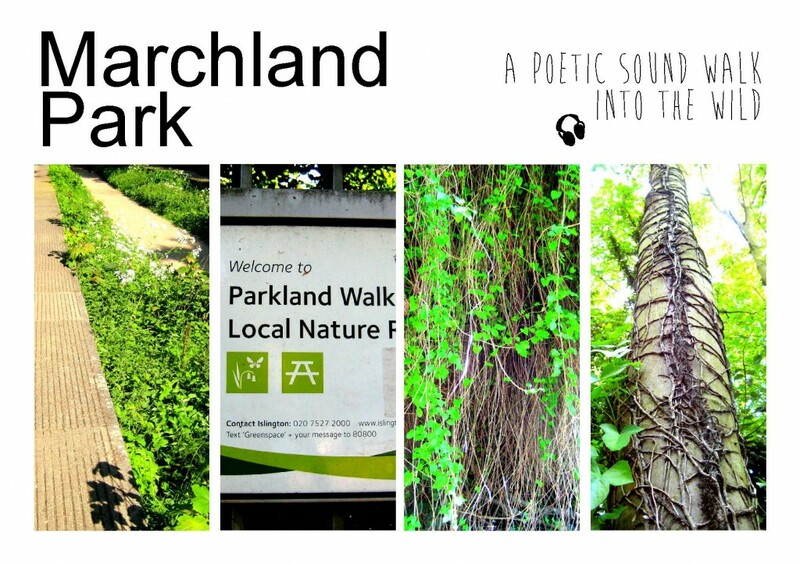 Marchland Park is a poetic sound walk into the wild side of North London’s beautiful Parkland Walk. Download the poetic audio guide below or stream it straight from your smartphone or tablet. 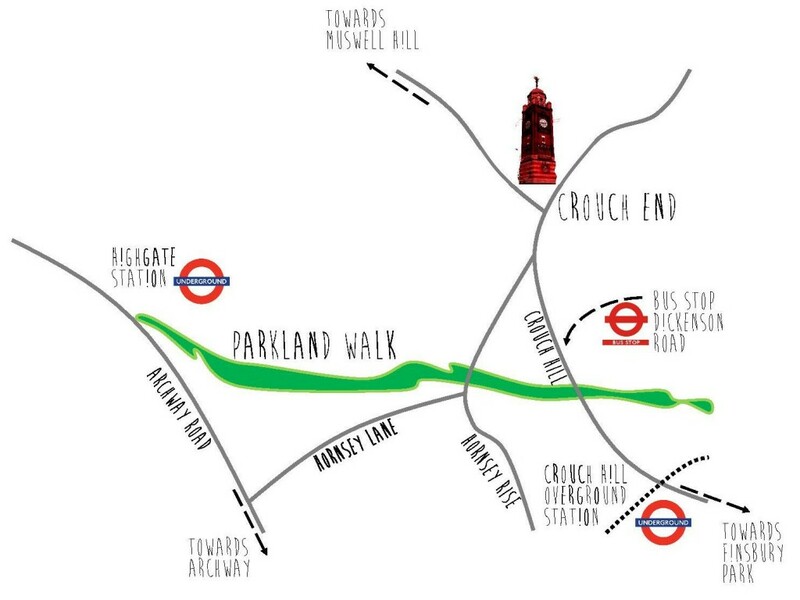 The walk is designed to be listened to with headphones while you walk down the Parkland Walk from Crouch End to Highgate. Once you are near the top of the hill. Push play! Noon stillness on a warm spring day. Green has taken over every space. 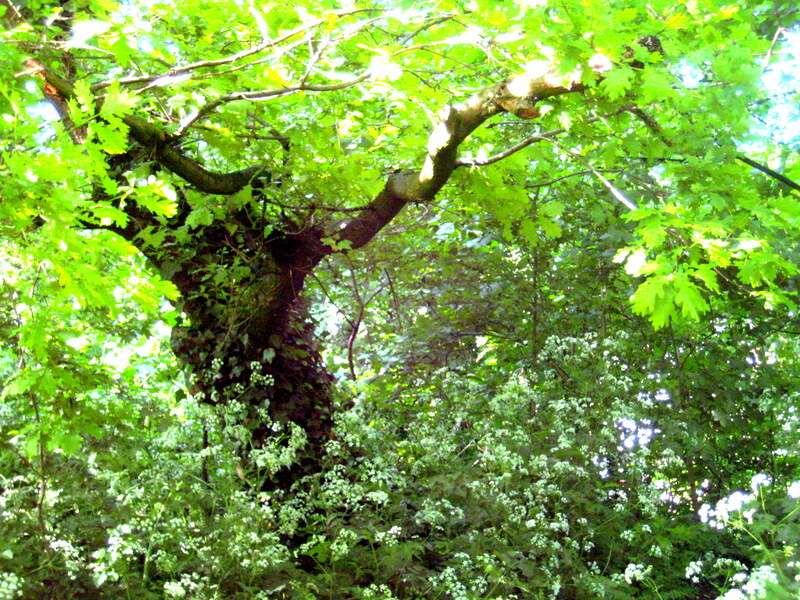 Life’s force pulsating underneath the soft surface of leaves and the smooth young bark. 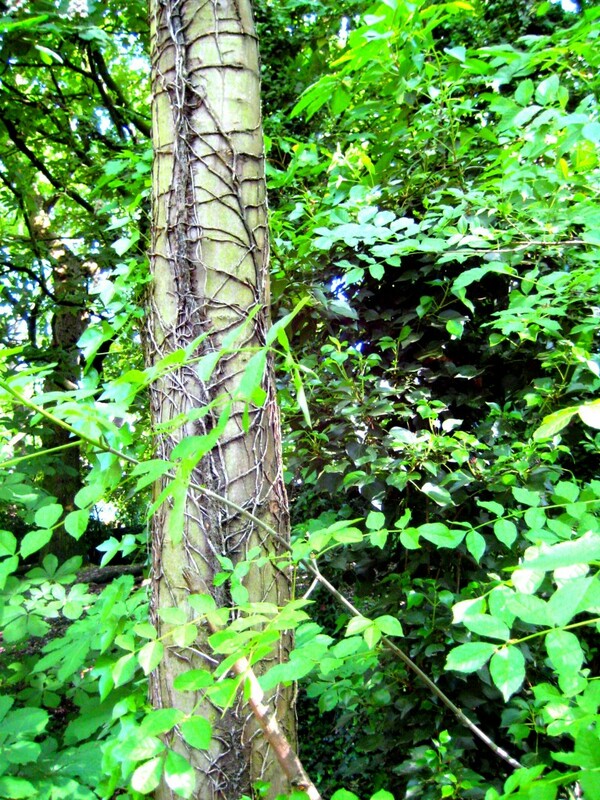 The vibrant shades of green captivate me but for the microphone they remain silent. This recording uses a strong reverb and echo over the original quiet recording of the walk to create powerful acoustic vibrations. 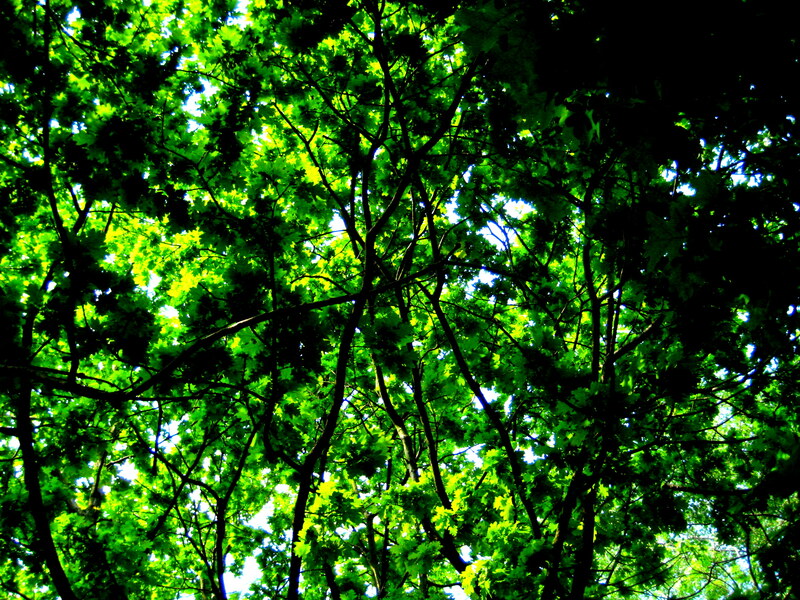 The trembling sound – enigmatic and slightly intimidating – seems to suggest another dimension in which the life force of plants would be audible. and he said sing but the bird remained silent. and he said to him but the bird didn’t answer. and he sang but he wasn’t listening. and he said but he still remained. and he sang but he was always asking. and he asked but he had no answer. 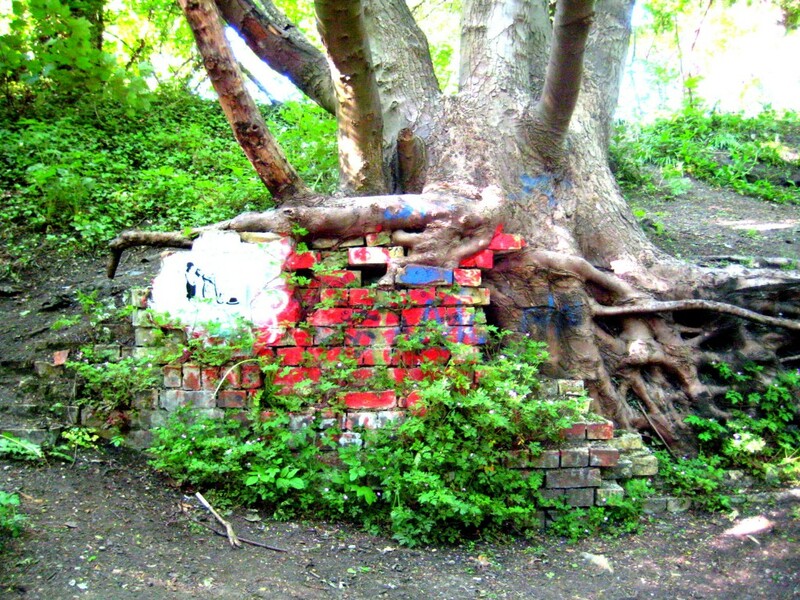 and he said but the tree remained silent. and he was still but he didn’t listen. and he listened but he wasn’t asking. and the woods in a cage with no answer. and he remained but he wasn’t listening. The beginning of spring is in the air on this exceptionally warm weekend. 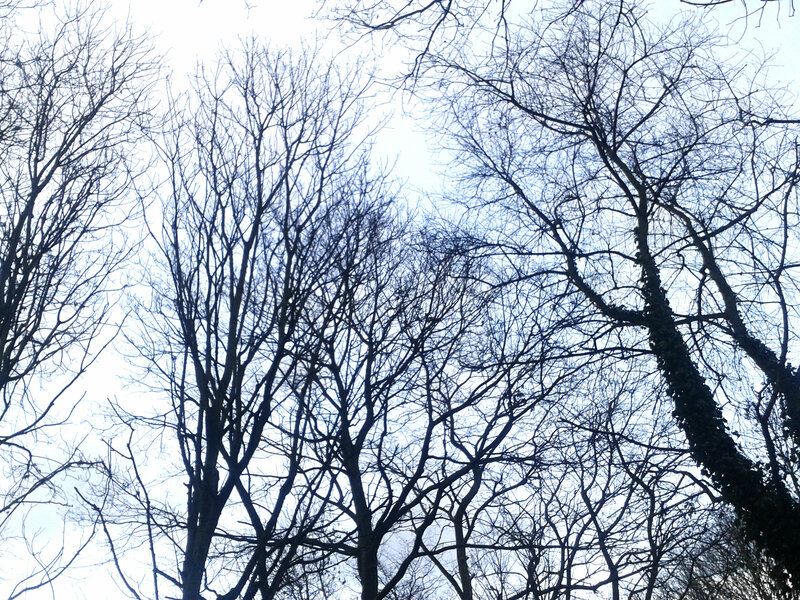 The sun pushing through the bare tree branches rediscovering her strength. 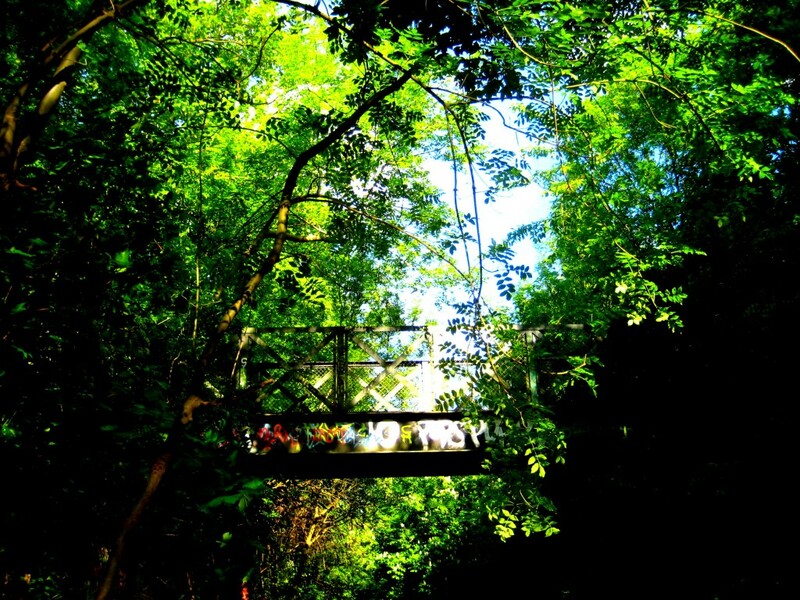 Children are running up and down the path, someone is sitting on the platforms, playing a portable radio. But most of all the birds fill the space. 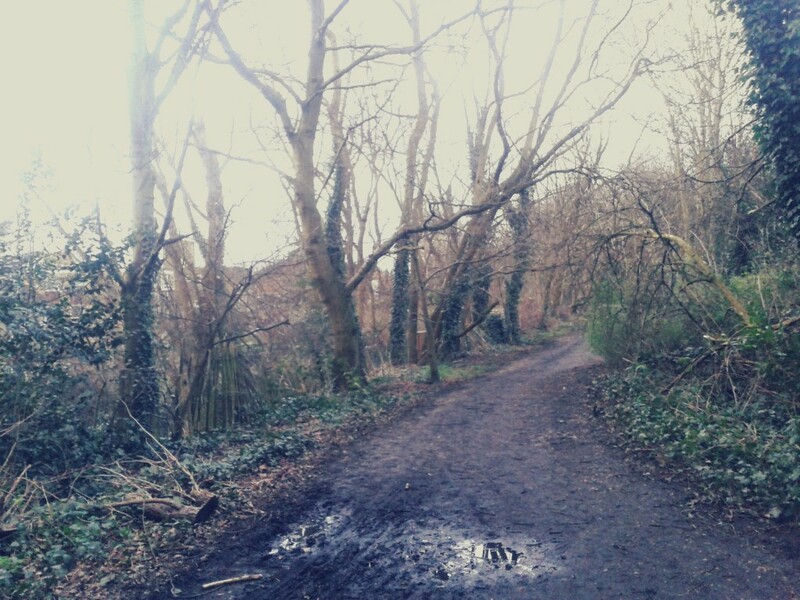 Along every part of the walk there is bird song, chirping and cheeping. They reign the air in every way, marking their presence, their habitat with sound waves and wing beats. Fluffing their feathers in the sun. 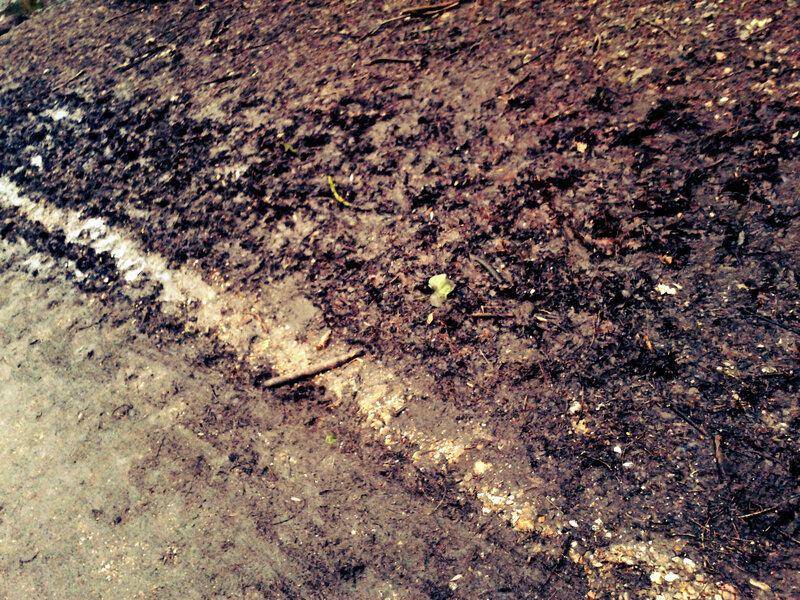 The ground is still black but less sodden. 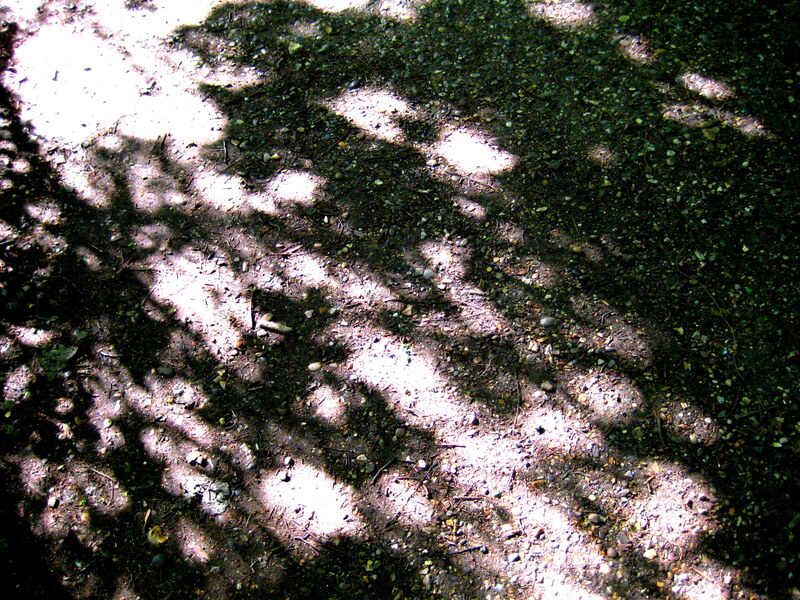 The round pebble stones that once carried the rail tracks are beginning to shine through here and there. The air is in motion, bringing in sound and freshness. The tree tops sing with the wind gusts. The wind is louder here than you hear it anywhere else in the city, frightening and powerful. The overwhelming notion of an invisible force that touches everything. The abstract and calm, undiscriminating gods of moving air. After weeks of rain and storm the ground is rain-sodden. Everything is covered in a layer of black mud. I hardly notice anything but the ground as I walk, paying attention to every step, making sure I don’t slip and fall into the cold dirt. All I see is the clammy soil. There are a few fellow walkers and a surprisingly large number of runners, eager to turn their New Year’s resolutions into actions. I am freezing and my boots are caked with mud when I return home.